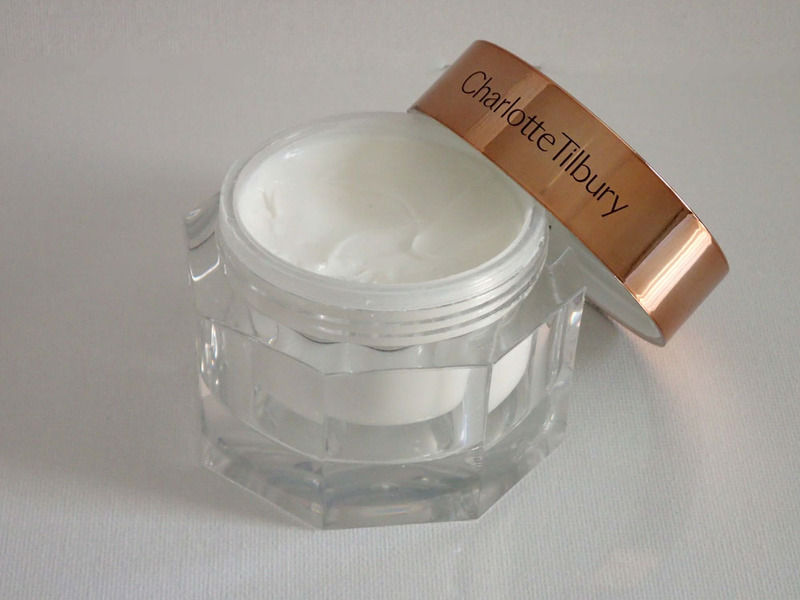 For my first review I have chosen a moisturiser I bought a few months ago when I attended a couple of Charlotte Tilbury makeup masterclasses at Selfridges Birmingham. At the time, I was kind of roped into buying it - you know what it's like when you sit in a chair getting your makeup done. Everything seems amazing and before you know it you've bought the whole lot - whoops! 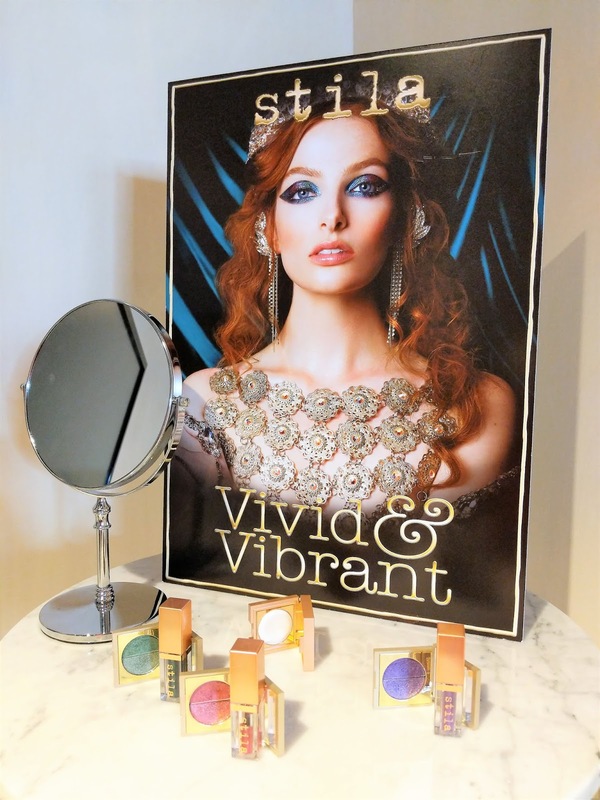 Charlotte Tilbury - Worth the money? 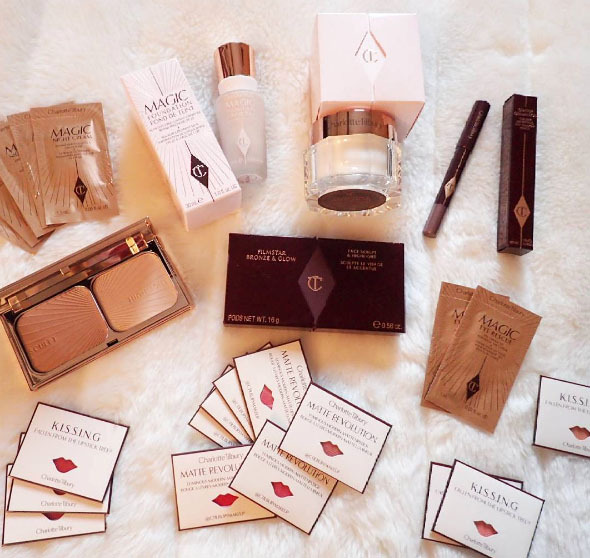 You may know Charlotte Tilbury as a makeup artist. 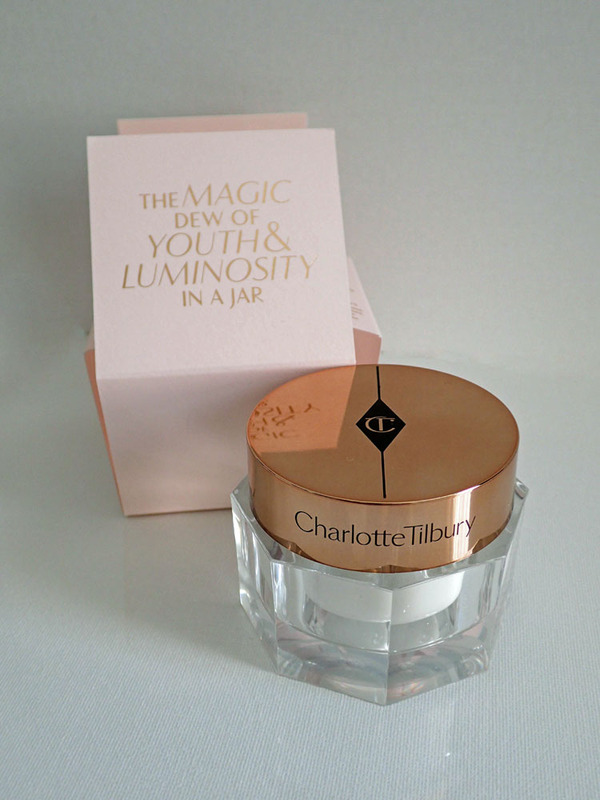 She has worked with celebrities for years but in 2013 she launched her own makeup collection including today's product: Charlotte's Magic Cream. Charlotte Tilbury describes it as "an age-defying moisturiser with a mix of collagen-boosting anti-age ingredients, hyaluronic acid hydrators and floral oils that instantly transforms tired, dull skin" with SPF 15. The packaging looks beautiful but what is the cream like? White, and I can really smell the rose hip oil which I quite like. 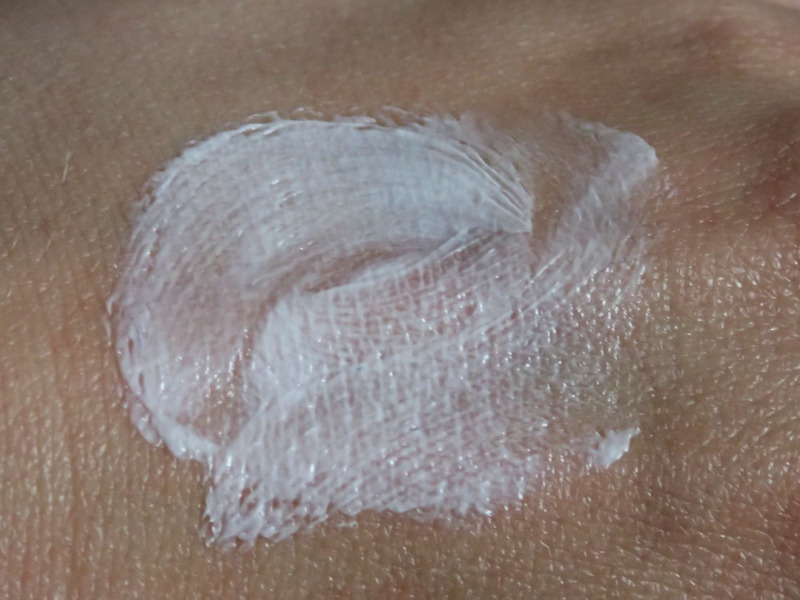 The cream is slightly greasy, as I would expect from a moisturiser with SPF, but light at the same time. When applying the cream on my hand, it feels very smooth and soft to my skin. The picture below shows the cream spread out on my hand. Don't be fooled by the white colour though; the cream is actually surprisingly easy to massage into the skin and is absorbed quickly. So what't the verdict? Does this cream do what the packaging says it does? I think it does. 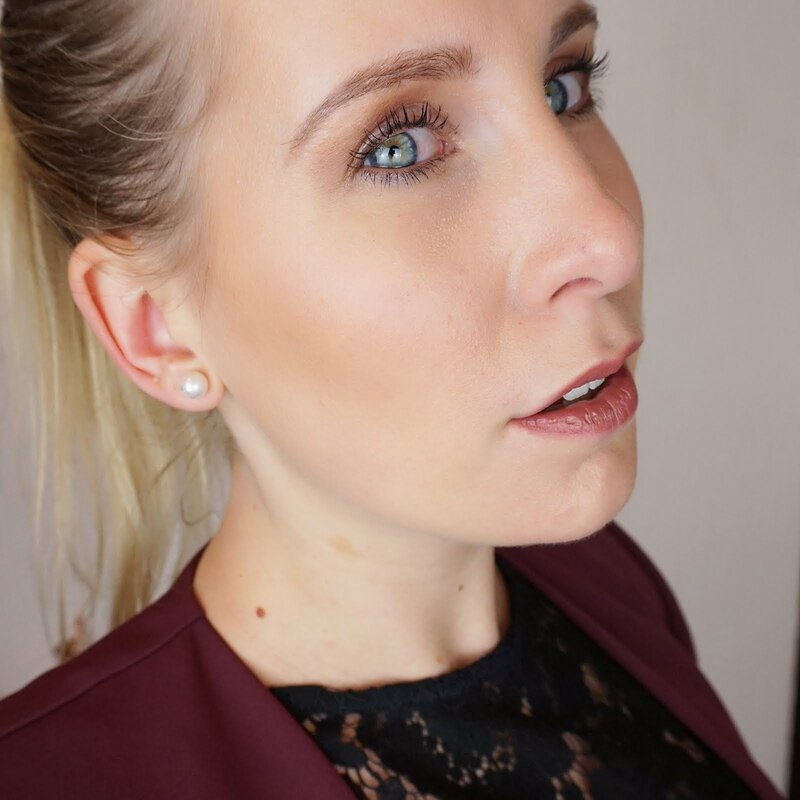 Charlotte Tilbury is promising a cream that moisturises and transforms tired skin, making it look healthy and radiant which pretty much mirrors my experience. In my opinion this cream reduces the visibility of pores and leaves my skin soft and hydrated throughout the day. Makeup can be applied pretty much straight after applying the cream and I found that because of the texture of the cream, it almost acts like a primer. One small disadvantage to all this: the price. At £70 a pot (50ml), it is definitely the most expensive one I've ever bought, however it does last a while and because you don't need much, it might be worth it. I have always wanted this magic cream but never got it as it's so expensive, is it worth the hype. I don't have any CT at all but am always hearing things about the brand.